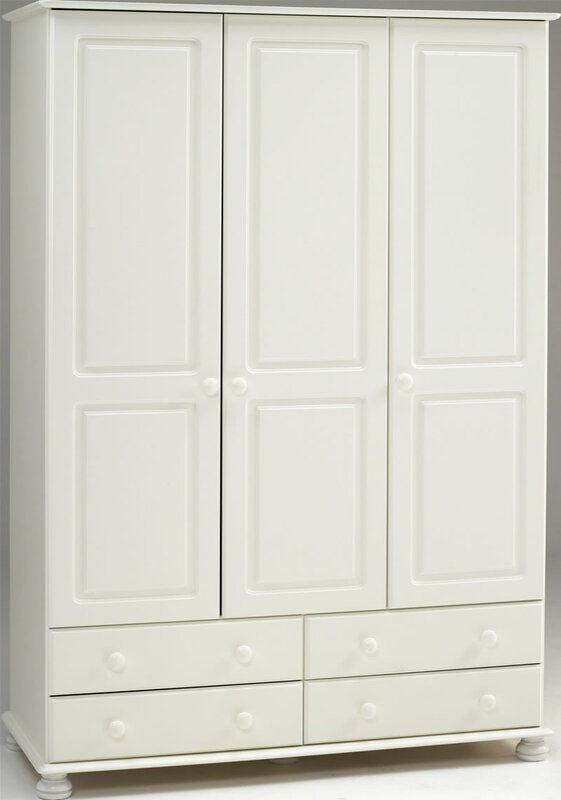 The Steens Richmond white 3 door triple wardrobe has 4 large storage drawers and features a full width hanging rail and solid pine round handles. 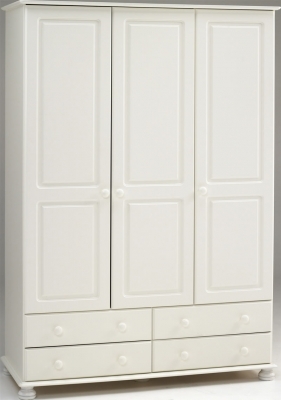 The wardrobe doors, drawer fronts, top and base are made from 16mm thick MDF, wardrobe sides 12mm MDF, drawer sides 11mm solid pine, drawer bases and wardrobe back panels 2.8mm MDF. For extra wardrobe storage an optional 3 door top box is available helping save valuable bedroom floor space.